Midnight Rain was released in 2004, and I think it’s a shame that at the time of this review there’s only 34 reviews given on Amazon, yet whenever I bring the book up people seem to love it as much as I do. Get with it, people! Leave some words! Midnight Rain is a book that flew way under my radar, and if it wasn’t for a friend of mine picking up a print copy and sending it old school, snail mail style, there’s a chance I never would have discovered it. 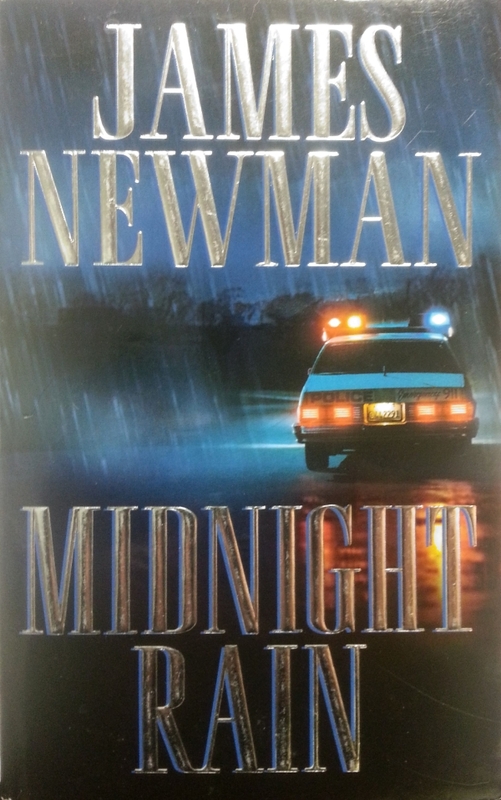 An absolute must read for fans of Robert McCammon’s Boy’s Life, Midnight Rain is the story of a 12-year-old boy growing up in the late 70s in a small town in North Carolina. While minding his own business, the adventurous young boy witnesses a brutal murder that takes place at his safe haven—a shed in the woods that he’s claimed as a fort. That’s all I’ll say. This isn’t a horror story per se. But neither is Dandelion Wine, neither is Boy’s Life. Yet horror consumers from all over adore the two. Midnight Rain offers murder, mystery, and twists. And there is a very real first-person fear from the mind of a 12-year-old boy who is struggling to come to terms with what he has seen, what to do about it, and exactly who he can trust. There are times when the book may seem a bit wordy, slowing down ever so slightly. But that’s because Newman has so expertly established a “need-to-know-NOW” mentality within us as we flip page after page late into the night, cursing the author because work in the morning comes early. Like a drug, the book was disruptive throughout the daylight hours while I was required to carry on with adult responsibilities; when all I really desired was to rip my bookmark from the pages and head back to Midnight, North Carolina with the hopes of watching justice prevail and our protagonist victoriously crush each dilemma beneath his pre-teen feet. This is easily one of the top 20 books I’ve ever read. However, I do recognize that it had a lot going for it that hit me personally. I’m a very nostalgic person—particularly for the 70s and 80s—I’m nuts about coming-of-age stories, and I often reflect on days of yesteryear where bikes were getaways and fear didn’t involve financial responsibilities or whether or not I’m raising my children right. I will be spreading the word about this book with anyone I know who reads. And like my two hard copies of Boy’s Life, I’ll be adding a second copy of Midnight Rain to my library—a lending copy. Chad lives in Battle Creek, MI. with his wife, children. For over two decades, he has been a contributor to several different outlets in the independent music and film scene, offering articles, reviews, and artwork. He has written for Famous Monsters of Filmland, Rue Morgue, Cemetery Dance, and Scream magazine. His fiction can be found in a few dozen magazines and anthologies including his own 18-story collection NIGHT AS A CATALYST. Lutzke is known for his heartfelt dark fiction and deep character portrayals. In the summer of 2016 he released his dark coming-of-age novella OF FOSTER HOMES AND FLIES which has been praised by authors Jack Ketchum, James Newman, John Boden, and many others. Later in 2016 Lutzke released his contribution to bestselling author J. Thorn's AMERICAN DEMON HUNTERS series, and 2017 saw the release of his novella WALLFLOWER. His latest, STIRRING THE SHEETS, was published by Bloodshot Books in spring 2018.